Earlier this month I took my first ever spring break trip.--Yeah, I know. Kinda late in life for my first spring break trip.--Where did I go you wonder? Las Vegas! Before I left for my week long stay in Sin City, I colored my hair. After I had my hair dyed (and before I left for my trip) I couldn't figure out what I wanted to do with my nails. Then it hit me! I needed to match my nails to my awesome hair! Because I did my nails with a limited time before I left, I didn't get the chance to take enough pics in my light box. 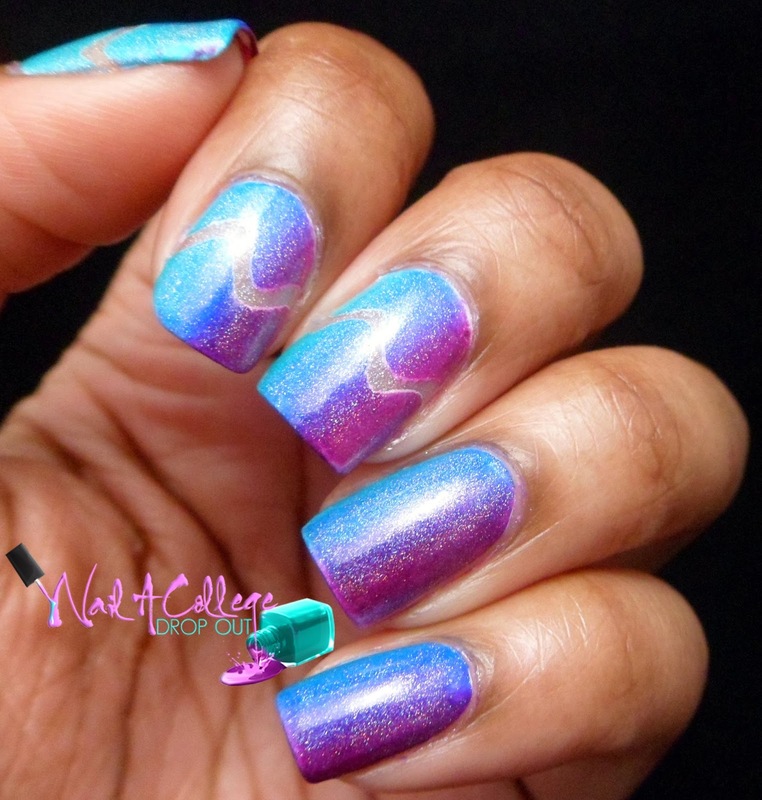 However, I did take some photos in direct sunlight so you can see ALL the holo goodness this mani has to offer. 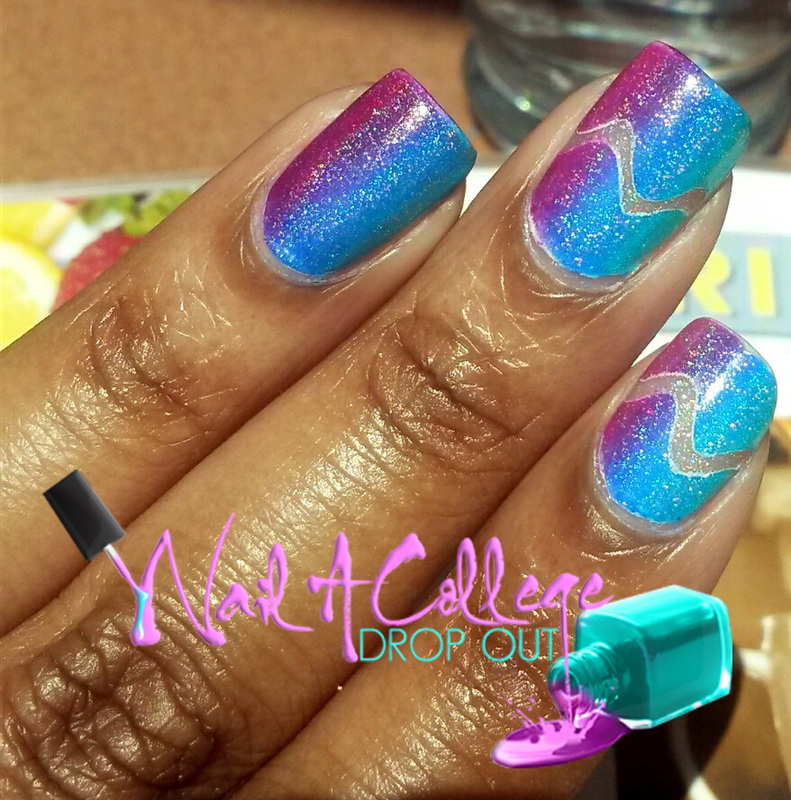 Wave nail vinyls I first used in this mani, gLORIous Spectraflair Topcoat #35, and Dare To Wear Flawless White. Have you ever matched your hair and nails? Love this. You match your nails to your hair perfectly. Hope you had fun on your trip! Thank you! I had a good time, the only thing I really wish I could've done was see Britney Spears perform. I love what you did with your hair, and your nails are gorgeous! You're welcome! That would have topped off the trip!